Brief：More and more Chinese investors look for investment opportunities abroad, particularly in the suddenly affordable UK market. The year 2012 marked a change in the behavior of Chinese real estate investors. More high-net-worth individuals began looking for investment returns rather than residential needs. The targeted areas are more diversified as the investors' backgrounds are diversified. With Chinese President Xi Jinping's ongoing visit to the UK expected to bring a golden decade of bilateral relations, more money will follow. As Chinese investors gain more knowledge about - and confidence in - the overseas real estate market, they have begun to look outside London for new opportunities. After the global financial crisis, many Chinese investors started looking for investment opportunities abroad, particularly in the suddenly affordable UK market. The UK has become the top destination for Asian real estate investors in Europe, with London alone accounting for 64 percent of the total investment over the last 18 months, said Nick Hendy, senior director of CBRE, the multinational real estate services and investment firm. Hendy made the comment at a recent property seminar in London called "Where are the opportunities for Asian investors across Europe?" Chinese money started flowing into UK real estate during the 2008 financial crisis, and it picked up after 2012, said Ken Xiao, president of the London-based Chinese Property Professional Society. Among financial institutions, Bank of China first stepped into the market in 2009. A year later, Industrial and Commercial Bank of China bought its own building in the City of London. Ping An Insurance (Group) Company of China, Fosun International, Greenland Holding Group Co and Anbang Insurance Group Co invested in London real estate market in the following years. 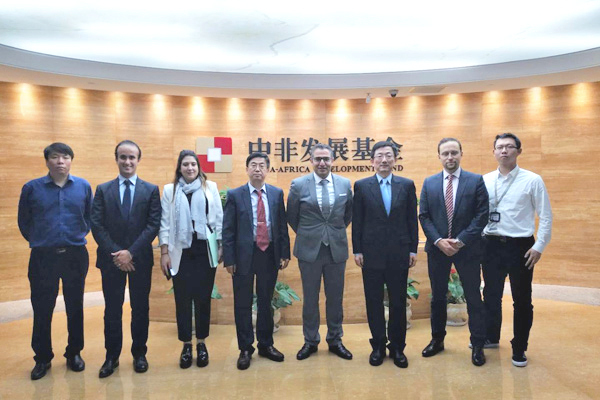 One of the most recent examples of Chinese investment in UK real estate is Hualing Industry and Trade Group, which plans to invest in major projects in Manchester, Leeds and Sheffield. Hualing announced the $1.8 billion investments during the UK chancellor's visit to Beijing in September. The three projects are expected to create 18,000 jobs and 10,000 new homes. As a result, the sources of capital being invested in the UK have largely shifted from South Korea and Malaysia to China, Hendy said. Large private developers, State-owned banks and insurance firms, sovereign wealth funds and high-net-worth individuals are all jumping into foreign property markets. For Chinese buyers, the two most popular investment models are direct investment and mergers and acquisitions. Chinese developers often forge partnerships with international firms and institutions to reduce risks and gain access to a wider range of financing. 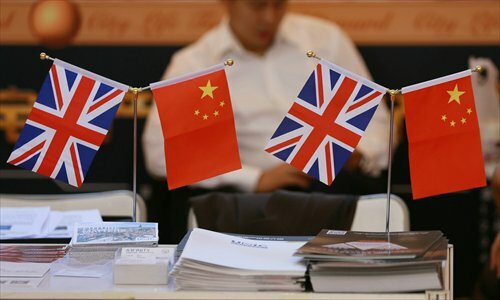 "The UK is the prime destination in Europe for Chinese investment because of its high degree of openness, sound legal system to protect property rights, financial freedom, high-quality education and a good welfare system and other reasons," Fan Huiyong, chief editor of the London-based UK Property Weekly, told the Global Times on October 12. President Xi Jinping's visit will open a "golden decade," said Stephen Barter, UK chairman of Real Estate Advisory KPMG, at the property seminar on October 14. The honeymoon atmosphere will also boost market confidence. On one hand, domestic restrictions and cooling growth in the Chinese real estate sector are pushing many investors to diversify. At the same time, European leaders are looking for investment to create jobs and bolster the region's economic recovery, Xiao told the Global Times Monday. In addition, the gradual strengthening of the renminbi and the desire of many Chinese firms to internationalize are further fueling these capital outflows. A Cushman & Wakefield analysis shows that China's State-owned enterprises and private companies each contributed around 50 percent of the total value of outbound real estate investment from 2008 to June 2014, but private companies and individual investors made up a larger share of the number of deals. In the residential market, most Chinese buyers come in two categories. The first is Chinese people who have settled in the UK. Of these, young professionals prefer apartments in eastern London's Canary Wharf, the Royal Docklands and London's Olympic Park area. Couples with children prefer to buy garden houses near outstanding schools, Fan said. The other category is investors who reside in China. According to the survey by the UK Property Weekly, 60 percent of these investors buy properties for their children who are studying or working in the UK. The other 40 percent buy properties as an investment. In London, the average property investment runs about 600,000 pounds ($928,415). The preferable locations are close to universities, outstanding primary and secondary schools, railway stations and parks. Chinese mainland residents invested around 320 million pounds in London homes in 2013, according to the UK Property Weekly. The following year, they invested 1.1 billion pounds. In terms of the commercial real estate investment, China's large enterprises invested about 1.5 billion pounds in 2014. That figure is expected to rise to around 2.2 billion pounds in 2015. Hendy predicted that there will be more Asian capital exported in 2016, as financial market volatility will increase the need for diversification. "London is the prime destination. With property prices rising rapidly over the last two years, investors are becoming more rational. As they gain confidence that they understand the UK real estate market, they have begun to look outside London," Xiao told the Global Times. "The most popular locations include Cambridge, Manchester and even Continental Europe." According to the major local real estate agencies, Chinese buyers purchased about 6 percent of the properties up for sale in Cambridge in 2014, including 20 percent of new homes. In 2015, Europe is projected to be one of the top destinations for Chinese investors now that several European countries have made favorable changes to visa and residence policies. And European real estate is also believed to be undervalued at the moment. Some British media have blamed Chinese investors for pushing up housing prices in the UK. Based on data from the major developers and real estate agencies, Fan explained that in some areas such as the Royal Docklands and Canary Wharf, Chinese investors bought 10 to 33 percent of properties on the market. "In these cases, Chinese investors do have a stimulating effect on local prices. As to what extent they have pushed up prices, there are no scientific statistics," he said. However, because the London real estate market is largely international, it attracts investors from all over the world. The growth in Chinese investors does not mean that investment from other countries has declined. "It is jointly advanced by international investors, not the influx of Chinese, or any other single group," Fan said.